Good health is essential to sustained economic and social development and poverty reduction. 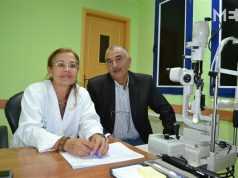 Access to needed health services is crucial for maintaining and improving health. At the same time, people need to be protected from being pushed into poverty because of the cost of health care. Kenya will inch closer to its goal of attaining Universal Health Coverage by 2022 on Thursday, when President Uhuru Kenyatta launches the pilot phase of the pro-gramme in Kisumu. WHO defines universal health care as ensuring all people have access to quality preventive, promotive, curative, rehabilitation and palliative health services regardless of their ability to pay. The UHC programme, one of the items in the Big Four agenda, will be piloted in four counties – Kisumu, Nyeri, Isiolo and Machakos. At least 3.2 million Kenyans will be the first beneficiaries of the health package during the piloting. The four counties were chosen for the pilot phase on need basis. Machakos county was chosen after research indicated that it was the county most prone to road accidents in Kenya. Nyeri, Isiolo and Kisumu were selected based on the Kenya Health Sector Strategic and Investment Plan (KHSSP) 2014-2018. It indicated that Nyeri has a high prevalence rate of non- communicable diseases such as hypertension, diabe- tes and cancer. Isiolo was found to be among the 15 counties with high maternal mortality rates and represented sparse pop- ulation, while Kisumu was selected on the basis of its high prevalence rates of communicable diseases such as HIV and malaria. During the piloting phase, the UHC package will cater for outpatient care such as consultation, mental illness and emergency health care. Inpatient care will include medical and surgical services, enhanced maternal and child health services and enhanced HIV, tuberculosis and malaria treatment. Other public health services such as mosquito nets distribution, door-to-door immunisation, public health education, and screening for non-communicable diseases will also be issued. Lessons learnt from the pilot scheme will be used to roll out the programme throughout the country. The government has already embarked on increasing enrolment to NHIF to enable access to affordable universal health care. According to ICT CS Joe Mucheru, only six million Kenyans out of an estimated population of 45 million were registered with the fund as at August 2018. According to Health CS Sicily Kariuki, every Kenyan must register for the UHC before receiving health care services. “Registration will be done by at the household level by community health volunteers,” Kariuki said in an interview. To register, you need an ID card, a birth certificate for children or a letter from the area chief. Every household will be issued with one UHC card to cover children below 18 years while children aged above 18 will each get their own UHC card. The UHC card is what will be used to identify patients at health facilities. 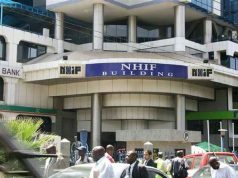 “It is worth noting that the insurer (NHIF) has the capac- ity to offset medical expenses for its contributors both in high end private health providers and public hospi- tals,” Kariuki said. Kariuki said UHC is not a new concept in Kenya since the government has over the years been implementing it through abolishing of user fees in dispensaries and health centres since 2013. 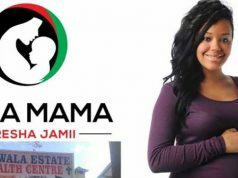 She said other initiatives like the Linda Mama free maternity care programme and health subsidies for the elderly and the poor have all been part of UHC. Kariuki said the piloting of the UHC in the four coun- ties is expected to help decide how to strengthen com- munity health volunteers by providing them with CHV kits, scaling up of public health services and leveraging on partnership with the private sector and counties. The exercise will also enable the government to know which health services need to be brought closer to the patient. Recently, WHO endorsed the UHC and committed to support the programme. WHO director general Tedros Adhanom Ghebreyesos said he will mobilise the top leadership of the global health body to attend the Kisumu launch event. Speaking in Nairobi at the start of the first management meeting of the organization outside its headquarters in Geneva, Ghebreyesos described UHC as a trailblazer and new trend in health in Africa. 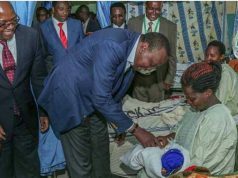 Uhuru, who was hosted at the meeting, said the attain- ment of UHC will not be a destination, but a continu- ous process. He said the UHC will live up to its billing of primary health care provision, health promotion and disease prevention. 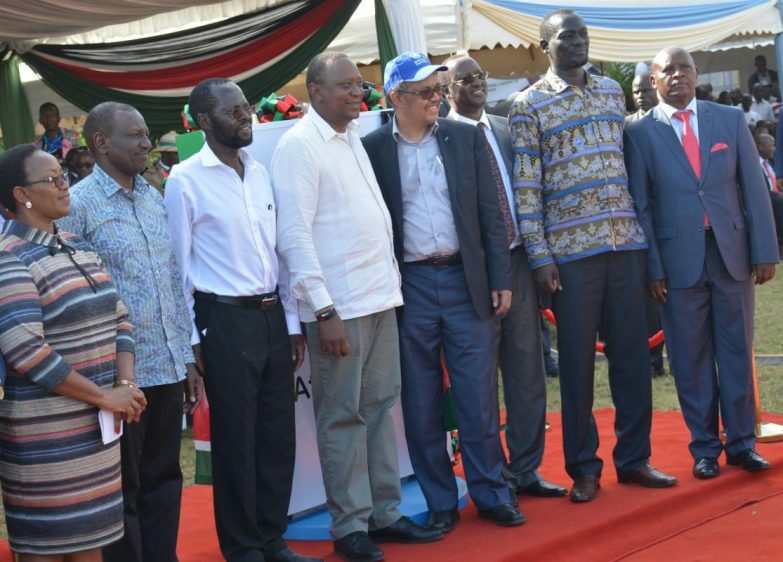 “This, we believe, will yield a more sustainable Universal Health Coverage model for Kenya,” Uhuru said.